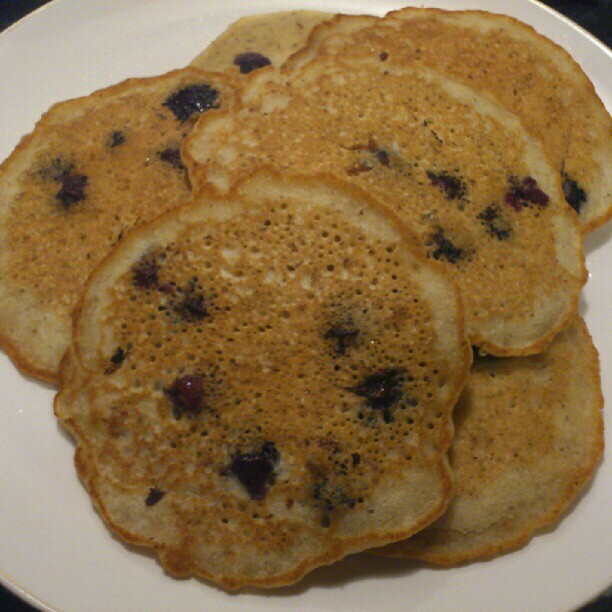 I came across a great recipe called “Puffy Pillow Pancakes” on www.theppk.com . I had just bought a huge pint of blueberries so I thought I would incorporate them into the recipe and see how it turned out. I’m so glad I did! They turned out super yummy and are one of my favourite recipes to use now! I also made a few other changes to the original recipe. Instead of using all-purpose flour which was called for in the original recipe I used healthier brown rice flour. I also added 1 tsp of Cinnamon as well. In a large bowl add flour, baking powder, salt and sugar. Mix well. In a medium-sized bowl add milk, apple cider vinegar and flax seeds. Using a fork mix very well for about a minute until it looks foamy. Add the milk mixture to the dry ingredients. Add water, oil, and vanilla as well. Mix well. Let the batter rest for about 10 minutes. Preheat a pan with vegan butter or coconut oil. I love pancakes! I will eat any type of vegan pancake but my kids are very picky! 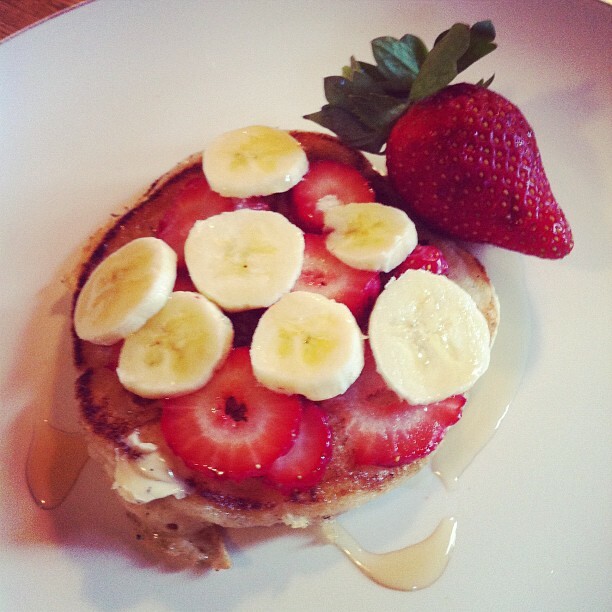 This is my tween’s favourite pancake recipe and at her request we load the batter up with lots of cinnamon! Yep she has a serious cinnamon addiction but at least there are health benefits to it! Combine the flour, cinnamon, sugar, pinch of salt, shredded coconut if your using it and baking powder in a big bowl. Mix. Add in the milk and oil and mix well. Oil a frying pan or griddle with some coconut oil or vegan butter and ladle your batter in. Cook for a few minutes and flip. Cook for a couple more minutes. After you plate your pancakes you can add your choice of fruits on top. I like to add sliced organic bananas and strawberries. You can then drizzle pure maple syrup on top. We also like to sprinkle cinnamon on top to finish it! 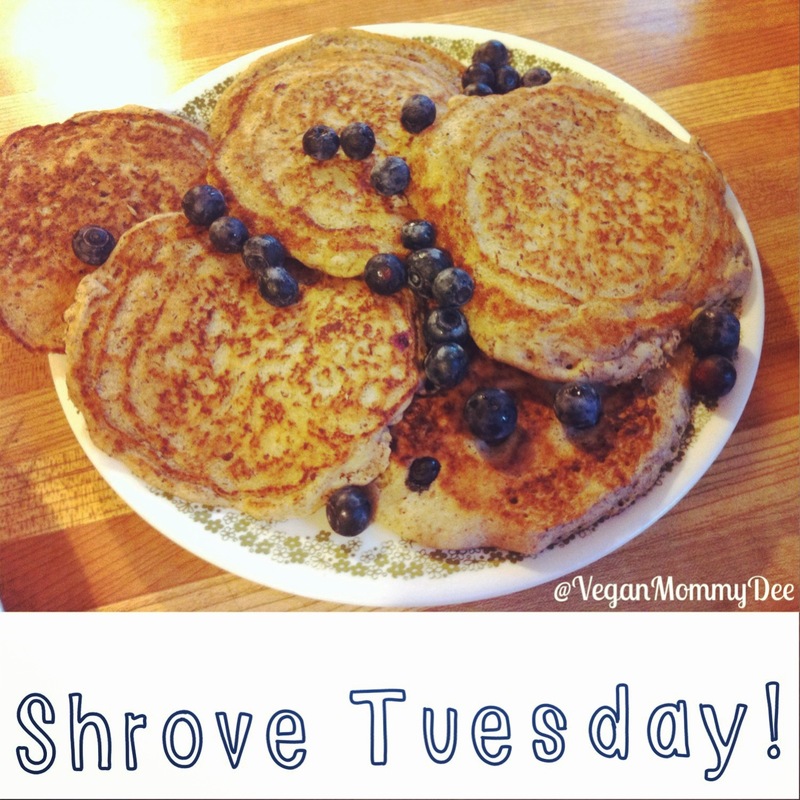 This recipe is super easy and fast to throw together!